Read Terms of Usage before proceeding. Do you live in the local area and have a story to tell? Perhaps you had a relative that fought in a military campaign, or your family grew up in the local area. Why not tell your story and have it preserved for posterity. All collected stories will be published to this website. These articles are copyright of the Marino Local History Society. These articles may not be reproduced in any format without written permission from themarinolocalhistorysociety.com/faq © Marino Local History Society. All images used with permission of owners. Mike Connolly was born in Dublin (Marino) many years ago and hails from a long line of rebels. He was educated by the Christian Brothers at St. Joseph’s Marino and at the College of Technology Bolton Street Dublin. He initially worked as a technician servicing office equipment before venturing into sales of equipment for various companies around Ireland. Eventually, he joined Penguin Books and operated as their Irish representative for many years. He emigrated to South Africa in the 80s and set up his own company supplying equipment to the Printing, Packaging and Converting Industries throughout Africa. Always interested in writing as a hobby, he was Chairman of Writers 2000 for a number of years; an association of authors based in Johannesburg. He is also a regular contributor to a number of magazines; mostly articles on travel. short stories and humourous pieces. As of 2015, Jer O’Leary appeared in three films that were nominated for the Best Picture in the ‘Academy Awards – Oscars: My Left Foot (1989), In the Name of the Father (1993) and Braveheart (1995), with the latter being a winner in the category. 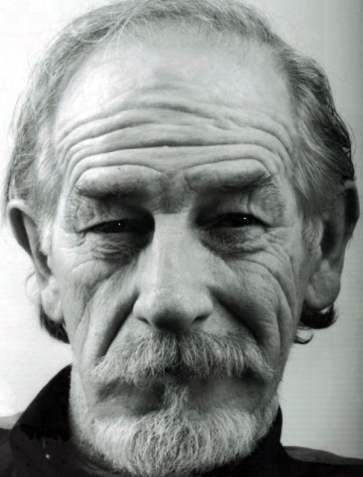 With 42 film credits to his name, he is best known for roles in Michael Collins (1996) This Must Be the Place (2011), and The Field (1990). He famously beat U2’s Bono in a singing contest at a Halloween Party in 1995 for the cast and crew of ‘Some Mother Son’ in the Ormond Multimedia Centre. In October 1922, members of the Free State Army (Pro Treaty faction) arrested three youths from Drumcondra at the Junction of Clonliffe Road and Jones’s Road. The three youths had set out just after 10:30 pm to post their anti treaty leaflets. Under a blanket of fog Edwin Hughes (17), Brendan Holohan (17) and Joseph Rogers (16) made their way up Clonliffe Road towards Drumcondra. They were stopped by Free State officers who had spotted them whilst driving down Clonliffe Road towards Ballybough. The three youths were questioned and taking away. Their bullet-ridden bodies were found the next day near a quarry at the Red Cow in Clondalkin. There was evidence that the three youths were brutally tortured prior to their death. The relatives of Brendan Holohan still live in the local area to this day. In December 1922, members of an Anti Treaty Unit (Republicans) approached the family home of Sean McGarry (TD) on Philipsburgh Avenue (southern end) the night before the first sitting of the Provisional Government, claiming to have a special delivery letter for Sean McGarry (TD). The Anti Treaty Unit forced their way into the house, dosed the top half of the house, the stairwell, and ground floor with petrol, and set the house alight, in a deliberate act of arson. The only occupants in the house at that time were two women and two small children. The Anti Treaty Unit brutally treated the women, who had pleaded with them not proceed with the arson attack. There were two small children asleep on the top floor of the family home. Both children Emmet and Sadie were rescued, however Emmet died shortly afterwards from horrendous burns. The relatives of Emmet McGarry still live in the local area to this day. Detective Officer George Mordaunt was shot dead on the night of October 24th 1942 in Donnycarney at 14 Holly Road. 14 Holly Road was a known safe house for the IRA during the 1940′s. The house was under Gardai surveillance that night and at 10 PM Mordaunt and his colleagues entered 14 Holly Road, at this point two IRA men (O’Neill & White) left the house via the back passage lanes with their bicycles. The two were fired on in a hail of gunfire by the Gardai. Mordaunt was killed in the exchange of gun fire. His body was found at 5 Oak Road. Maurice O’Neill was caught and White escaped. It was stated at the time that there was no direct evidence to link O’Neill to the shooting of Mordaunt. Maurice O’Neill was sentenced to death and was executed by a firing squad in Mountjoy Jail on the 12th November 1942. White escaped but was recaptured four years later in Derry. He was handed over to the Gardai. White was sentenced to hang on the 3rd January 1947. His lawyer Sean MacBride (a former IRA Chief of Staff) appealed the decision resulting in White’s sentence being reduced to manslaughter receiving a 12-year sentence. George Joseph Mordaunt (Detective Branch, Dublin Castle) was husband to Catherine (Kitty) Mordaunt of Casino Road, Marino. On Friday the 17th May 1974, a series of three car bombs exploded in Dublin City at rush hour, 5:30pm. The car bombs were located in Parnell Street, Talbot Street, and South Leinster Street. Some 90 minutes after the bombs exploded another car bomb exploded in county Monaghan killing nine people. Thirty tree civilians died and 300 more were wounded in total. There were no warnings given. The Dublin and Monaghan bombings resulted in the highest number of causalities in what was known as the Troubles. Out of the 33 civilians that were killed that day, 26 were from Dublin. In the context of our local area, eleven people were caught up in the events of that day. Marie Phelan (Fairview) was killed in Talbot Street. Her name is listed third from the top on the memorial stone in Talbot Street. She was just twenty years old, an employee of the Civil Service and a native of Ballyvooren, Woodstown, Co. Waterford. She was survived by her parents and two brothers. Ten other people from the local area (Marino, Ballybough, Clontarf, Drumcondra and Fairview) were injured and hospitalised that day. 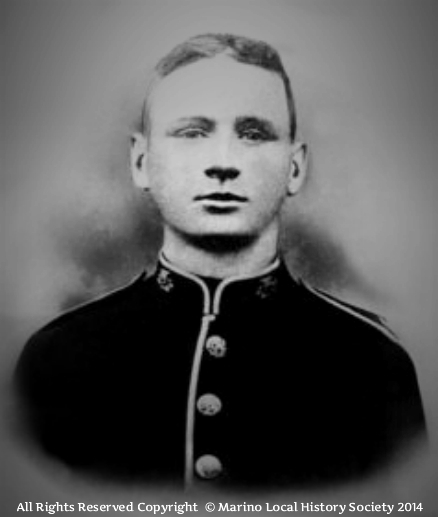 Private Thomas Fleming fought and died in WWI. He was born on 7th of December 1891 and was the eldest boy in a family of nine children. He enlisted in the Royal Dublin Fusiliers in Nass depot on 25/7/1908 and transferred to the Royal Irish regiment in 1910. He sailed to India with the regiment and returned to fight in Flanders in December 1914. He was killed in Ypres on May 7th 1915 during the battle of Ypres, which was the first time the German army used poison gas. His family was notified by the War office on June 10th 1915. Unfortunately, he has no known grave so his name is etched on the Menin gate memorial in Ypres in Belgium along with all the other soldiers who have no known grave. He was awarded three medals and these along with his ‘death penny’ were sent on afterwards to his parents. In late November 1967, Brendan Foley (b.1932 – d.1967) former past pupil of Scoil Mhuire, got into the cockpit of his F4 Phantom Fighter plane in Thailand, on a mission to fly over North Vietnam. Due to bad weather the nature of the mission was converted to reconnaissance. His plane went out of contact and he was listed as missing in action. Foley’s remains were never discovered. His plane crashed 24 km south west of Tahi Nguyen City, North Vietnam. The site of the crash was investigate in October 2001 after new evidence was handed in by two Vietnamese citizens. John H. Tomeny was born on the 11th February 1946; his family left Marino (Dublin) in 1957 to start a new life in America. John graduated from Hackensack High School, New Jersey, USA. He was an E5 Grade in the US Army and was a member of the HHT, 3RD SQDN, 17th Cavalry, 1st Aviation, BDE, USARV (Ground Unit/Combat). His tour date of Vietnam started on the 10th October 1967 and he was K.I.A. on the 22nd June 1968 (aged 21), in the southern province Tay Ninh in Vietnam. He was a ground casualty, killed during hostile military exchange and died from multiple fragmentation wounds. The irony of this story is that John was a trained Air Traffic Controller (ATC) A US Army official decided to assign John to duties other than ATC and in an entirely different unit. He was one day away from being transferred to a non-combat unit when he was killed. John entered the US Army as a draftee in late 1966. After basic training he was assigned to US Army Air Traffic Control school detachment at Keesler Air Force Base in Biloxi, Mississippi USA. Upon completion of the Air Traffic Control school in August 1967, John was awarded Military Occupation Specialty (MOS) 93B10, Air Traffic Controller. In October 1967, he arrived in Vietnam and was assigned to the 125th Air Traffic Company at the Tay Ninh Base Camp, east of Tay Ninh City, Tay Ninh Provence, South Vietnam. John, along with other members of the 125th provided air traffic control services to the many aviation units and transient aircraft flying in and around the Tay Ninh base camp. As the ATC personnel of the 125th diminished, ATC services at Tay Ninh Base camp diminished as well, to unacceptable levels. On the 28th April 1968 the 362nd Aviation Support Detachment (ASD), 65th Combat Aviation Group of the 1st Aviation Brigade was assigned to Tay Ninh base camp. Their MO was to assume full control of all ATC activities on an exclusive basis. The commanding officer of the 362nd ASD began the task of regrouping the splintered members of the 125th and getting them assigned full time to the 362nd Aviation Support Detachment (ASD). The eleven members of the 125th Air Traffic Control (ATC) soon took a back seat to the needs of other units at the base camp. It was common practice for members of the 125th to be temporarily assigned to these other units to accomplish various duties other than ATC. These collateral duties included door gunner, kitchen helpers, guard duty, aircraft fuelling and artillery spotters to name a few. By mid May 1968 all previous members of the 125th air traffic control (ATC) were assigned full time to the 362nd, except John. At the time John Tomeny was killed, he was on temporary duty to Headquarters and Headquarter Troops, 3rd Squadron, 17th Cavalry of the 1st Aviation Brigade, a helicopter reconnaissance unit. His regular and permanent assignment was the 125th Air Traffic Company of the 1st Aviation Brigade as an Air Traffic Controller (ATC). The 3/17 Cavalry was terribly short of door gunners and asked if John’s transfer could hold off for about a week. The MO of the 3/17 was to pickup and deliver troops to the field to engage the enemy. John became a door gunner with the 3/17, his MO was to protect the aircraft while the aircraft was in the air, or on the ground in hostile territory. On the evening of May 21, 1968 John’s was on his last assignment with the 3/17 before transferring to the safety of the 362nd ASD. John was assigned to all night bunker guard duty on the north perimeter. Sometime in the very early morning hours of May 22, 1968 the Viet Cong breached the north perimeter resulting in a heavy gunfire fight that lasted approximately 20 minutes. The bunker that John was in was hit by a rocket propelled grenade (RPG). John’s body was found just outside of the now levelled bunker with his rifle at his side. John was killed instantly by the exploding RPG,dying of multiple fragmentation wounds. Other US Army soldiers were successful in beating back the insurgents, but not without the loss of three members of the 3/17, including John Tomeny, Lionel Clover and Steven Hicks. The irony here is John was just a day or two out of harm’s way when he would have been transferred to the 362nd ASD, considered a non-combat unit. The 3/17 Cavalry was not disbanded, the unit stayed at Tay Ninh for the duration of the war. 3/17 is still an active unit in Afghanistan. The 125th Air Traffic Company disbanded after the 362nd ASD arrived. The 362nd ASD disbanded in 1972 when the war was winding down. Carmel Parslow left Marino some fifty years ago; she has kindly recalled some of her memories of Marino. Carmel now resides in Sydney Australia. Firstly my Grandmother Marcella Parslow a widow, moved from 10 South King Street Dublin into 32 Brian Road Marino with her 6 children when the house was built, they were the first occupants of No. 32 and the house remained in the family until 1993. Her youngest daughter Carmel went to Marino School. Her children were; Elizabeth (aka Bessie), Marcella, John (aka Jack), Esther Philomena (aka as Kitty) May (my mother) and Carmel. I went to live with my grandmother when I was about 2 years old, my Aunt Marcella was really the one who reared me, a lovely very kind person, and you will note from her dearth of photos my most favourite. My grandmother had been widowed when her husband Laurence was killed in the 1914/18 war. He was in the Dublin Fusiliers. He hailed from what was Kingstown (Dun Laoghaire) when they married at St. Andrews Church in Westland Row, Dublin I was actually christened in that Church as I was born in Holles Street, Hospital in 1934. My parents Patrick Dermot Farrelly (from Charleville Mall, North Strand) were married in Church of the Visitation Fairview in 1936. Bessie and Kitty were married in Marino Church; Bessie was married in the Vestry as she married a Protestant Vicar called Pickett, a fairly well known family from Church Road in East Wall. At 10 years of age and I went to Holy Faith in Clarendon St. When I left Clarendon Street School I went to Norwil Secretarial College in Marino Mart (over the bicycle shop). My memories of Marino Mart Stationers (very posh for its day) at corner then was the Bank of Ireland, the Library, Marino Tech – Dalton’s A. Jewellers, Tompkins Chemist (? ), Hanley’s Shop, Dry Cleaners, Kennedy’s Bakery (into Haverty Road now, Drapery another Hanley’s and veg shed – hardly a shop a bit of a” lean to” – back to the Mart, Joey’s, the Merville Dairy and Garage and my old and often haunt, the Fairview Cinema – I won’t go on although I still remember most of it right down the Church of the Visitation – Philipsburgh Ave on the Park side. Ballybough Road and Annesley’s Bridge. A little anecdote about Marino School and an admission that all memories are not that wonderful – I often walked up to school through Griffith Avenue – especially in the Autumn all those gorgeous leaves so many wonderful hues – anyway we were told to write a composition of our choice of subject and I wrote one titled “Autumn Leaves” – well what a hullaballu ensued I was questioned over and over again by Sr. Declan and Sr Columbanus as to who actually wrote it they did not believe I did it thankfully I would not be bullied and stuck to my writing of the composition – I wish I had a copy of it today. Now regarding the shop’s Corrigan’s Chemist, Lavin’s, Peppard’s, Gallagher’s, Behan’s corner shop at lane – O’Brien’s ? Pierce’s grocery shop at other corner then houses down to Maguire’s Pub I remember Morrisey’s shop always had exciting little things for 1d. or 2 d. Every Christmas Eve I was sent to Maguire’s Pub armed with an enamel jug to get stout for the Christmas Pudding, I was totally terrified at this event as there was always an implicit message at home that Pubs were dangerous, so I would stand outside terrified to go in and then some woman would come along and take me into the “SNUG” pass the jug through the little door on the counter into “The Clerk” with the money of course I never saw him – incidentally the Snug was always full of women! Back to the shops -You are probably well aware that Jimmy Lavin -? Henderson and lots of the local boys played for Marino, Joey’s and then Dublin – one of the Peppard boys was an Architect and I think may have designed a lovely Chapel in the Clontarf Area – other families in Brian Road the Guytens – one of the girls married Martin Fay of The Chieftains – John Keane out of the Dubliner’s lived in Declan Terrace. Regarding Marino House – I only know there was a Lord Marino (Charlemont) – and there was a tunnel running from there or The Casino to somewhere near Annesley Bridge that the GENTRY’ used to go gambling. The back gardens of St. Aidan’s Park Road and Carleton Road right up to our side of Brian Road had a portion from each yard acquired and people had what we called PLOTS grew vegetables etc. In late 80’s these pieces of land were restored to each house. The same arrangement existed for the gardens from other side of Brian Road St. Declan’s Road and Brian Avenue – The Barry Family had a Dance Academy in their home in St. Declan’s Road and one of the Barry girl’s married the entertainer Tony Kenny a lovely gentleman. We had a veritable orchard in our backyard, cooking apple tree, eating apples, conference pears, raspberry, black and red currants gooseberry bushes and a blackberry hedge. The East Wall/ North Strand area benefited from considerable economic development from the beginning of the 19th Century onwards, with the building of Spencer Dock/Royal Canal and the subsequent building of the Midland Great Western Railway in the 1840s, alongside the Canal. The area which had a predominance of Shipping people, Railway Workers and associated Artisans living there experienced an influx of French and Italian Emigrants in the 1860/70s. Jean Bosonnet (1791-1866), our original ancestor, one of 11 children, was born in Taninges, Haute Savoie, into a family with a farming background. At that time the area was part of the kingdom of Sardinia and Savoy. The Bosonnet Family emigrated from France in the mid 1830s, initially living in Dolier Street, Dublin, before moving to Dundalk for the best part of 20 years where Jean Bosonnet, BA Professor of languages, Academie de Grenoble (1820), took a teaching appointment at the Dundalk Education Institution. November 1861 – Jean Bosonnet (70yrs) having retired from his teaching career in Dundalk, along with his Family – Wife Marie (63yrs), Son Julius Benjamin (23 yrs) and daughter Almeiza (28 yrs) moved to Dublin/East Wall, and lived at 20 North Court Cottages, Church Road. Julius Benjamin was about to start his career in the Civil Service (National Board of Education) Marlborough Street, Dublin. Julius Benjamin had at this stage obtained a Bachelier es Sciences Degree from the Academie de Grenoble (1858), and had passed the Civil Service entry examinations (1861). Almeiza had previously qualified as a Professor of Languages – France, (Academie unknown). The Family subsequently moved to 6 Hawthorn Terrace, Church Road, East Wall. June 1864 the Carter Family were living next door at 5 Hawthorn Terrace – their eldest daughter Marianne (16 yrs) married Julius Benjamin in 1867. Edward Carter (1820-1882), Mariannes father, was a Director of The Dublin Exhibition held at Earlfort Terrace,1860/63. The Carter Family moved on to Dublin Zoo in August 1865 upon Edward Carters appointment as Superintendent (1865-1880). June 1865 Almeiza, married Edward Mc Cleary in their local church of St. Laurence O Toole, Seville Place. Julius Benjamin and Marianne Carter were the witnesses at the wedding. The Church built in 1850 is an excellent example of Gothic Architecture, the beautiful stained glass windows (15 panels) depicting the joyful, sorrowful and glorious mysteries, over the alter are worthy of examination. It is possible that Almeiza may have been a teacher in the local church school – sadly no Archives are available prior to 1921. March 1866, Jean age 74 died at 6 Hawthorn Terrace. September 1867, Julius Benjamin and Mary Anne Carter were married in St. Paul’s, Arran Quay and subsequently lived at 9 Waterloo Avenue, North Strand, up until 1870 approx. Eyre Family who are related by marriage to the Bosonnet Family, still reside in the local area. Richard Eyre, resided at Shamrock Street, North Strand, where he had a business (Merchant) partnership with a Frenchman called Albert in the early 1900’s. Julius Benjamin Bosonnet lived at 15 Royal Terrace (Inverness Road) between 1888 (approx) and 1892; James Joyce’s Family lived at 8 Royal Terrace at a later date ie. 1900 to 1901. Julius Edwin Bosonnet (1875-1949) married Grace Maud Cunningham in St. Agatha’s Church, North William Street, North Strand. The Cunningham family who lived nearby at St. Joseph’s Avenue, off Clonliffe Road, have erected a plaque in the Mortuary Chapel of St . Agathas in honour of George Cunningham (1893-1940) and Family. George was a brother of Grace Maud. The area in front of the Church was heavily bombed during the Second World War. Further generations of the Bosonnet and Eyre Families resided in the local area. Members of the Bosonnet and Eyre Families worked for many years with Fry Cadbury, East Wall Road (1933-1964), before the Factory moved on to Coolock. A memorial Grave Stone has been erected at Glasnevin Cemetery in 2008 to honour the nine members of Jean Bosonnets Family who were buried there from 1866 until 1913.